May 25, 2017 – GOES-16, the most advanced weather satellite NOAA has ever developed, will be moved to the GOES-East position once it is declared operational in November. NOAA officials announced the decision regarding GOES-16’s placement earlier today, during the 2017 Atlantic Hurricane Season Outlook news conference at NOAA’s Center for Weather and Climate Prediction in College Park, Maryland. “GOES-16 will be placed in the east position where it can observe the entire continental U.S., and monitor areas most vulnerable to tornadoes, floods, land-falling tropical storms, hurricanes and other severe storms,” said Stephen Volz, Ph.D., director, NOAA’s Satellite and Information Service. GOES-16 (previously called GOES-R) is NOAA’s most advanced geostationary weather satellite to date. GOES-R will provide five times faster weather coverage, better data for hurricane tracking and intensity forecasts, real-time mapping of total lightning for improved severe weather forecasts, advanced warning of space weather hazards, and improved transportation safety. The GOES-16 satellite was launched on a United Launch Alliance Atlas V on November 19, 2016. Since then, the satellite’s instruments and the data they produce have undergone an extensive engineering checkout and instrument validation period. 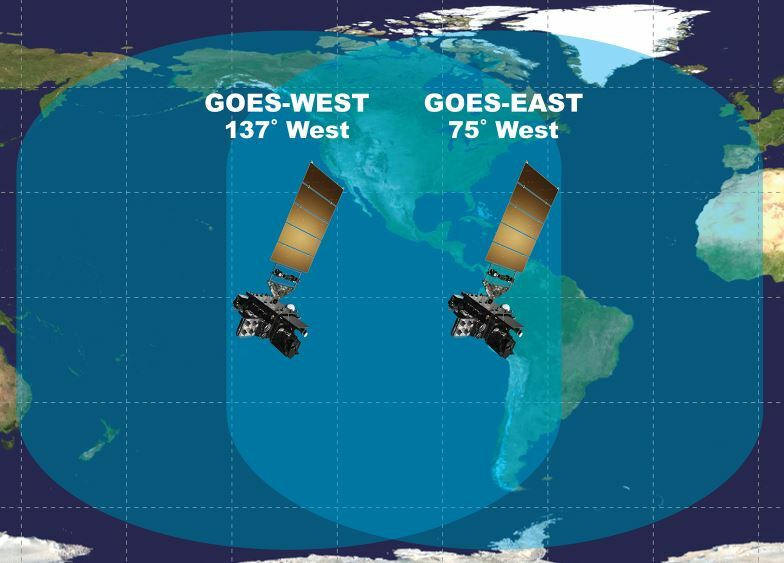 Once GOES-16 reaches its East location, the current GOES-East satellite (GOES-13) will be placed into orbital storage along with GOES-14 and remain available if needed. Meanwhile, GOES-15 will continue as the GOES-West satellite. Positioning satellites in the East and West locations, along with an on-orbit spare, ensures that forecasters get a thorough look at developing weather systems that affect the U.S., from the western Pacific to the coast of Africa. GOES-16 is the first in a series of four next-generation geostationary satellites being built by Lockheed Martin. The next, GOES-S, is scheduled to launch by spring 2018 and will be expected to move to the GOES-West location once it is commissioned. GOES-S will be followed by the launches of GOES-T and GOES-U, in 2020 and 2024 respectively. GOES-R/GOES-16 is a collaboration between NASA and NOAA. The GOES-R series satellites are being built by Lockheed Martin Space Systems in Littleton, Colorado. In addition to the spacecraft, Lockheed Martin also provides the Magnetometer, the Geostationary Lightning Mapper (GLM), and the Solar Ultra-Violet Imager (SUVI). The University of Colorado Boulder’s Laboratory for Atmospheric and Space Physics (LASP) provides the Extreme ultraviolet/X-ray Irradiance Sensors (EXIS).